The pig slaughtering machinery is to fall off at the specified location of a slaughtering equipment, the slaughter of machinery mainly rack frame body, guide posts, cylinder, air compressor (demand-side self-made) and the limit switch and other components, it has a simple structure easy maintenance, automation, etc., use this slaughtering machine can reduce labor intensity and reduce the number of operators is to implement automated slaughtering meat processing plant essential equipment. Used to remove the carcass from the automatic line to enter the playing Machine. A. The whole machine adopts machinery transmission, on non-polluting pigs. After pigs after scalding, delivered by the conveyor line drive hit the top of hair, this time linked to the rings into the pneumatic unloading pig pig device, and through the activities of the bezel frame body touches the side of limit switch, through the control circuit, when the cylinder immediate action for the upgrade will bring the rings, buckle rings loose live wire, so that pigs hanging off automatically at the specified location. ZBHT Slaughtering Machinery Co.,Ltd. manufacturing high-quality Pneumatic pig unloading platform and supply OEM, ODM service according to your personal requirement. 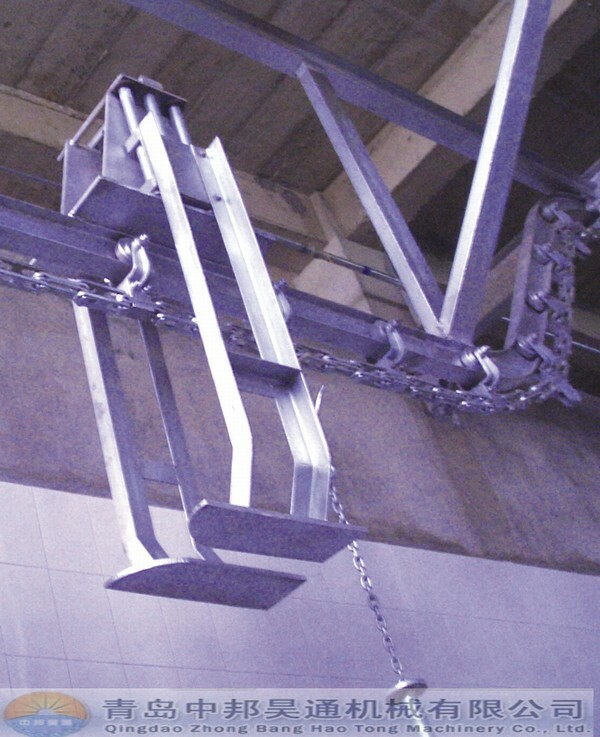 Our Pneumatic pig unloading platform and other Pig Slaughtering Equipment is not only good in quality but also competitive in price, welcome to inquiry us about the details of Pneumatic pig unloading platform or other slaughtering machine products and accessory equipment.